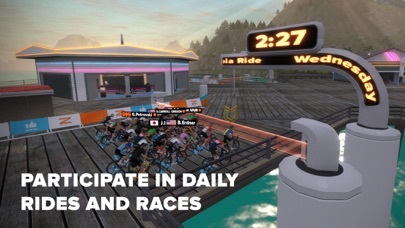 When I use the Wahoo Kickr Snap with the Zwift app, the power fluctuates all over the place weather I use Bluetooth or Ant+. The Bluetooth connection to the Kickr Snap is unstable. When I use the Kickr with the Wahoo Fitness app, the Bluetooth connection works well and power measurements are smooth. I didn’t have this problem with my Elite Digital Qubo trainer. There’s a lot of online complaints about this problem. 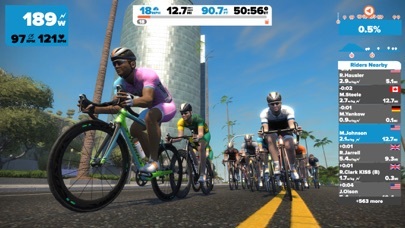 I hope Zwift and Wahoo can get together to resolve this issue. 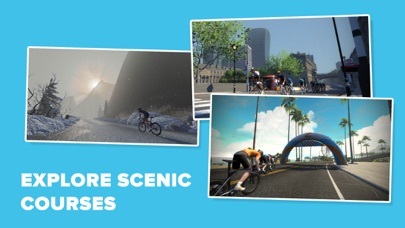 As someone who has trouble staring at a wall riding Zwift has literally changed my life. 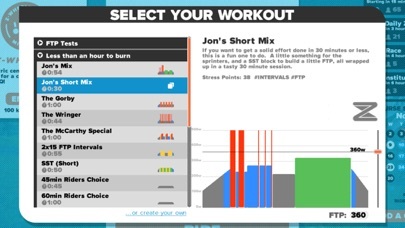 I’ve started exercising again and Zwift makes it fun. Yeah the rides get a little repetitive however it is far better than staring at a wall. 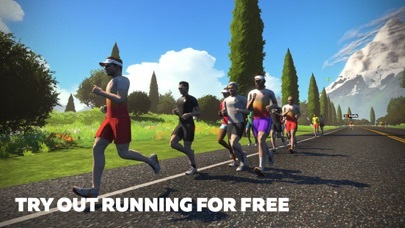 I was attracted to Zwift over TrainerRoad because it claimed to integrate well with the health app, including Apple Watch integration. However, the app regularly writes increasingly long segments of a given workout to Health, resulting in much longer distances than I actually provide. The developers claim this is simply how the Health integration works, but this is the sole app that has this issue that I’ve encountered. For what they charge the app should be reliable. Unfortunately it crashes occasionally and has locked out users on certain platforms.